ne of many successful writers of the 19th century, Jules Verne is especially remembered today as a visionary. He wrote many novels, but 20,000 Leagues under the Sea may be the one for which he is best remembered, even if one simply counts the movies made from the book or novels and stories that draw on the original. Verne himself wrote more than one other novel featuring a character from 20,000 Leagues. 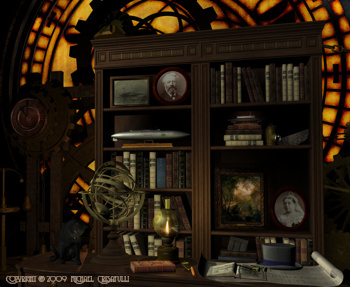 For us, Jules Verne represents his era in a very real way. Verne had an interest in the developing technology of his era. He didn't conceive of the submarine, but seeing the many inventors building submarines with varied success, he wrote a story that described an extraordinary voyage aboard one successful submarine. We think of that era as the steam age, which it was, but Verne, looking forward, envisioned an electric submarine. He was aware of other innovations as well. 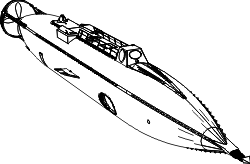 Clearly impressed by the Winans' cigar ship, “popular in London” at the time and described in the worldwide press, he chose that shape for the Nautilus. The cigar ships and most of the submarines built during the Vernian Era are now lost, but one important submarine from the period was found and recovered remarkably intact, the Hunley of the Confederates. Although it originated earlier, the new science of archaeology was developing during the Vernian Era. 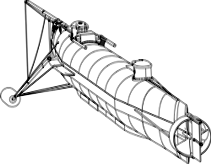 From the unearthing of Pompeii at the end of the 18th century, through Schliemann's efforts on the Aegean islands and more famously at Troy, to the continuing exploration of ancient Egypt, this science, nothing today like it was then, has helped us learn much about the technology of the Hunley. As technology developed during the era, more people had the time and, with steam transportation the means, to travel for leisure, if only for a summer evening or a weekend. Instead of struggling against nature, people began to escape to it. There are hikes even in 20,000 Leagues under the Sea, an exploration on the sea bottom to the lost city of Atlantis, and perhaps for more ulterior motives, on a Pacific island and inside the crater of an extinct volcano. Ramble around and from the Vernian Era. Here are a few highlights. 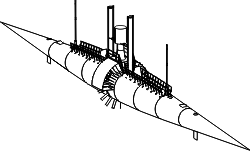 For some years this site has been the best place in the world to learn about Jules Verne's Nautilus or the Winans cigar ships, one of the best sources for information about the Confederate submarine Hunley, and there's other stuff too. Welcome and enjoy! The Vernian Era has been on the Internet since 1997. See the site history. Please E-Mail comments about these pages to Michael Crisafulli. © Copyright 1997, 1998, 1999, 2000, 2001, 2003, 2004, 2006, 2010, 2016 Michael & Karen Crisafulli.